Institute of Technology Sligo student Karen Markovich tells us about coming to the West Coast of Ireland, from Canada, to study. 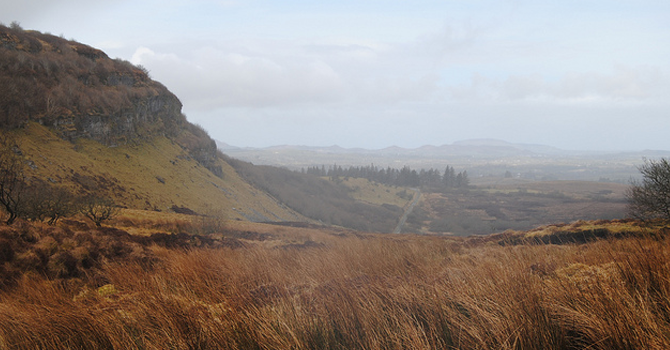 When it came to studying abroad, choosing IT Sligo was not an easy decision. Firstly, I thought I only had a choice within the local university, online options or in the states but options opened up in the decision-making process when KOM consultants came to St. Clair College, Ontario in my second year. I learned about the possibility of building on my 3-year advanced diploma in Business Administration-Marketing at St. Clair, and continuing onto my Degree with several countries to choose from — all at various price points. Ireland was an opportunity open to me and it was an extremely attractive option. I could complete my Bachelor of Business Honours in Marketing in only one year, while living in a different country. However, I was not sold yet so I finished my second year and kept the idea in the back of my mind. I wasn’t sure if I could leave my family house for the first time and live on my own in a completely different country that was not Canada or the United States. Entering year three I knew I had to start making my decision — Would I complete my degree or should I just move straight into the business world with my advanced diploma, knowing no matter what choice I made, it would not be wrong. That’s when the KOM consultants came back to St. Clair and I had the opportunity to talk to different schools from Ireland, Australia, and Scotland. I discovered I could read blogs just like this one about students’ real-life experiences while living abroad and the one that caught my eye was a student of St. Clair who was studying at IT Sligo — A town and school I had never heard of. After doing my research and keeping updated with the blog, I grew to start admiring the idea of relocating to Sligo. Additionally, three other students from my program also had the same idea of moving to Sligo. Utilising the services KOM consultants offer, where they serve as the middleman, students can contact KOM to ask anything regarding studying abroad and the partnerships available. Free information is the best information. IT Sligo’s tuition was €7500 which, comparing to all the available options, ended up being the cheapest. Ireland has an agreement with Ontario Colleges that give students a discount on international fees. As well as this, Canadian students do not require a student visa while studying in Ireland, making the price point and application process much easier. Also, tuition was significantly lower at IT Sligo compared to completing my degree in two years at the local university. The living expenses and cost of student accommodation are remarkably similar but In Sligo, I’m completing the degree in one year and not two. Now three months in, I have not regretted my decision. Being further from Dublin has positives and negatives. The positives being the lower rent prices, nature and less commercialisation and the few negatives consist of the distance from Sligo to the major Irish airport (Dublin) for trips, and people still aren’t really sure where Sligo is.